Where the hell is Ali Baugatinov? Discussion in 'UFC Discussion' started by SalvadorAllende, Aug 7, 2015. Dude pissed hot after his loss against Mighty Mouse but his suspension ended a few months ago. He is still a top guy at FLW and he could have some fun fights against the Benavidez, Horiguchis, etc. Plus he is part of the Dagestan UFC invasion!! Nvm was confusing him with Amagov. 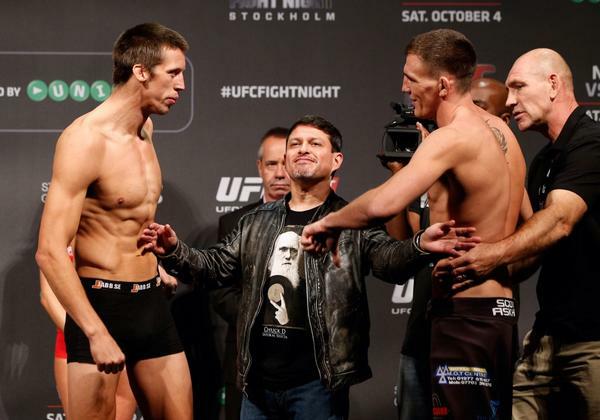 I dont think Joe Silva is in charge of the manlets. He wanted to come back in August or September but it looks like it'll be late Fall/Early winter according to somebody close to his camp. I'm looking forward to his return. What do these guys do in between fights? He's been out for a year...do they work? I'm always curious about these things. They make 5,000 for a fight...then don't fight for a year and a half. Some still get sponsorship money when not fighting. Some work fulltime jobs. Some own their own gyms. I don't know aboot Ali. Apparently he's been elected to some official office in Dagestan. He says he's currently training for a fight but doesn't say against who. Speaking of dagestans. From the big 3 only Khabib is left, Bagautinov is inactive and lost while testing positive and Rustam Khabilov looked really bad in his last fight and lost which is ridiculous considering the hype behind him before he fought Bendo. hes at the mall shopping for syringes. Joe Silva is the King of the Manlets! Where the hell is Mayday?? Dat look on his face. "Be cool guys, we're all friends here." He visits lots of MMA events here in Russia, also he debuted in boxing, I think in 2014. Not bored I guess. Ali, Tanaka, and Munhoz need to be booked already. Also Bagautinov is part of Fight Nights team and Fight Nights is a promotion also with events and stuff. And I remember there was seminars with Bagautinov In Russia plus he competed in bjj or grappling on some Fight Nights event.